CALLAHEAD is proud to offer the BOSCH HOT WATER HEATER for your on-site trailer hot water needs. As always CALLAHEAD supplies our customers with only the best equipment available and Bosch, a German company, is a top name in water heaters. 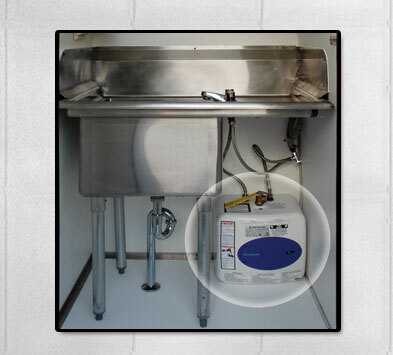 This electric water heater puts hot water right at your finger-tips and is the perfect solution for trailer sinks supplying the user hot water without the wait. The unit is lightweight and compact to fit perfectly under your sink and comes in an elegant Italian design. The heater is aesthetic on the outside and glass-lined on the inside to provide superior insulation for the higher efficiency. Offering this quality product has allowed CALLAHEAD to supply our customers the BOSCH HOT WATER HEATER for a low monthly rental price which includes installation, maintenance, repairs and replacement of the unit with absolutely no additional cost to you. 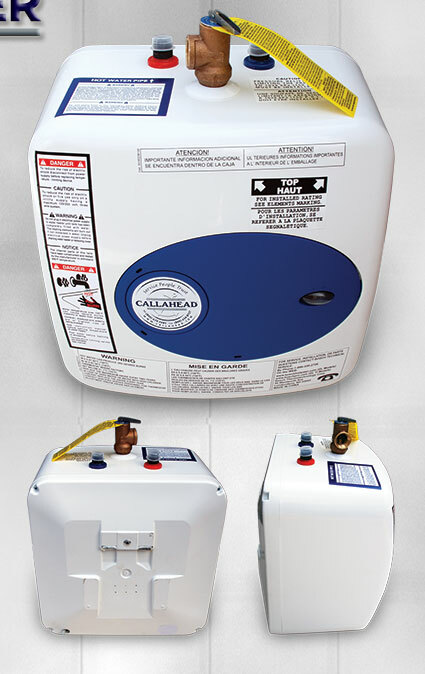 Installed and maintained by CALLAHEAD gives you the exceptional service and peace of mind that you will never have to go without hot water again. • The Occupational Safety and Health Act (OSHA) require employers to provide adequate washing facilities for employees that work with contaminants that may be harmful. • The Center for Construction Research and Training (CPWR) states, "Lack of cleaning facilities on construction job sites increases the likelihood of dermatitis, caustic burns from extended contact with wet cement, or acid burns from muriatic acid or other hazardous agents that come in contact with the skin, and infection." The result, additional workers' compensation claims. Stores up to 2.5 gallons of water to supply hot water for a single sink. • Easy, space-saving installation and draws power from standard outlet. • Works independently or in line with a larger water-heating system. • Impact and rust resistant polymer shell around glass lined tank fits easily in tight places. • Glass-lined tank for longer life. • Lighted On/Off switch. • Dimensions: 14" x 14" x 10.25" • Weight: 16 pounds (empty) • Electrical: 120 volts, 1500 watts. • Compact and mounts right under sink. • Tank plugs into standard 120-volt outlet. • Elegant Italian design. • Temperature/ pressure relief valve. • German engineered. • Continuous hot water. • Installs tapping into existing hot water line. The BOSCH HOT WATER HEATER is not only convenient in putting hot and warm water easily at your disposal but it is also essential in providing proper handwashing capability. Correct handwashing is necessary to reduce contact with germs and bacteria as well as eliminate the spread of illnesses that are constantly spread through hand-to-hand contact. Infectious diseases which are generally spread through hand-to-hand contact include the common cold, flu and several gastrointestinal disorders. Research shows that cold water handwashing should not be used for routine handwashing and for a variety of reasons. The most obvious being, soap lathers up easily in warm water releasing its active ingredients, making it more effective in cleaning your hands of dirt, grease, and other harmful bacteria which can cause illness. Using warm water is not only the most effective but it will not strip away the skin's natural oils and regular use of cold water can. Frequent use of cold water to wash your hands can also damage your skin causing skin irritations such as dermatitis. 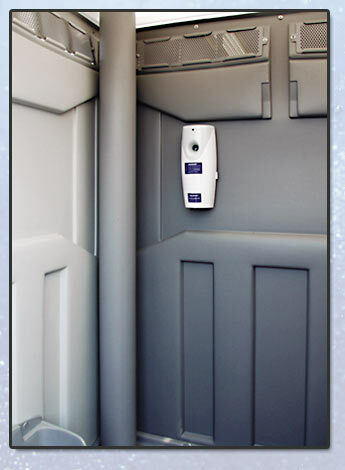 CALLAHEAD understands that proper hygiene and good health is imperative to our clients, their employees and guests. The BOSCH HOT WATER HEATER is beyond doubt an essential addition to any sink system when hot water is not available. Wet your hands with water. • Apply one dose of liquid soap and lather well for 15-20 seconds (or longer if the dirt is ingrained). • Rub hands together rapidly across all surfaces of your hands and wrists to help remove dirt and germs. • Don't forget the backs of your hands, your wrists, between your fingers and under your fingernails. • Wash your hands for at least 10 to 15 seconds. • Rinse well under running water and make sure all traces of soap are removed, as residues may cause irritation. • Pat your hands dry using paper towels. Make sure your hands are thoroughly dry. • Dry under any rings you wear, as they can be a source of future contamination if they remain moist. If possible, remove rings and watches before you wash your hands. • Each person should always use disposable paper towels or their own hand towel.